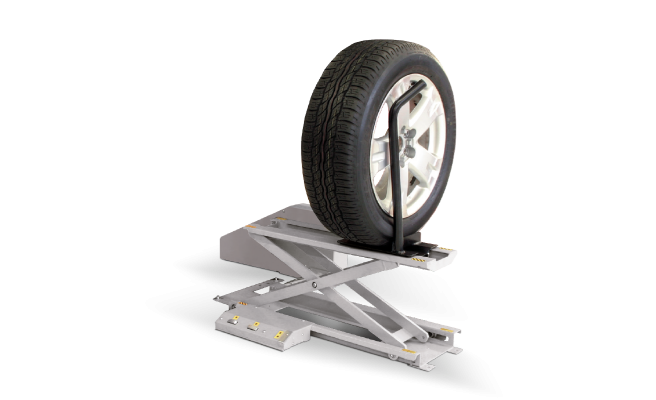 GR80WS is suitable for mounting and also transporting wheels. Maintenance-free lifting spindle. Drive is by a powerful electric motor with integrated safety brakes. The double battery allows up to 100 lifting movements. The universal-charger (included) allows quick recharging. Pick-up fork with five support rollers. Four rollers and two parking brakes ensure a safe stand.